Special Collections' local history collection includes material focusing on the historical, political and cultural heritage of Oswego and the surrounding region. This collection also includes items of genealogical significance, such as city directories and histories of local villages, towns and cities in Oswego County. Curious what local history images and resources we've already digitized? Try searching OswegoDL's Local History collection. The Historical Local Newspapers Collection includes newspaper indexes and electronic full text both searchable online. In many cases full text can be obtained by contacting Special Collections with your request. Indexed full text of newspapers from New York State, with dates ranging 1803 - 2011, depending on title. 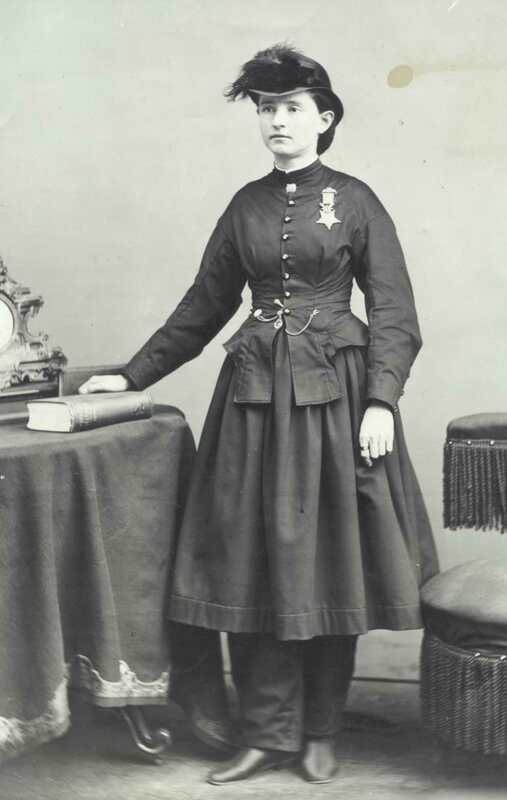 Dr. Mary Edwards Walker was the first woman ever to be awarded a Congressional Medal of Honor for Meritorious Service. She lived much of her life in Oswego. In August of 1944, 982 refugees from war-torn Europe were placed in an internment camp at Fort Ontario to await the outcome of the Second World War. The majority of these refugees were Jewish and had recently been liberated from the persecutions of Nazism in central Europe. The Marshall Family Papers contain materials from a prominent family who settled in Central and Western New York. It includes the papers of Erastus Granger (1765-1825), an early Federal Indian agent and Democratic political figure in Western New York; and historical information of earlier generations of the Marshall Family, including Lemoyne and DeAngelis families. These materials have not yet been digitized. The Millard Fillmore Papers include financial records, legal documents, speeches, writings and notes, newspaper clippings, ephemera, maps, and miscellaneous materials. It includes some materials from his time as 13th President of the United States. The largest portion of this collection is correspondence. Covers 1817-1889. Don't see the topic you're interested in? Let us know what you're interested in so we can help!